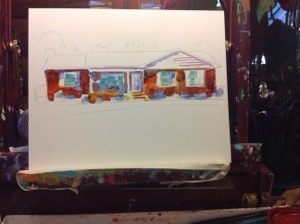 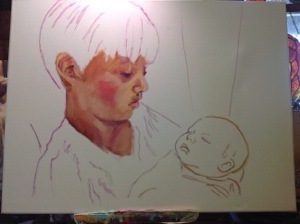 I am continuing the portrait of John Howard and Anna Katherine as I place color passages in the background. 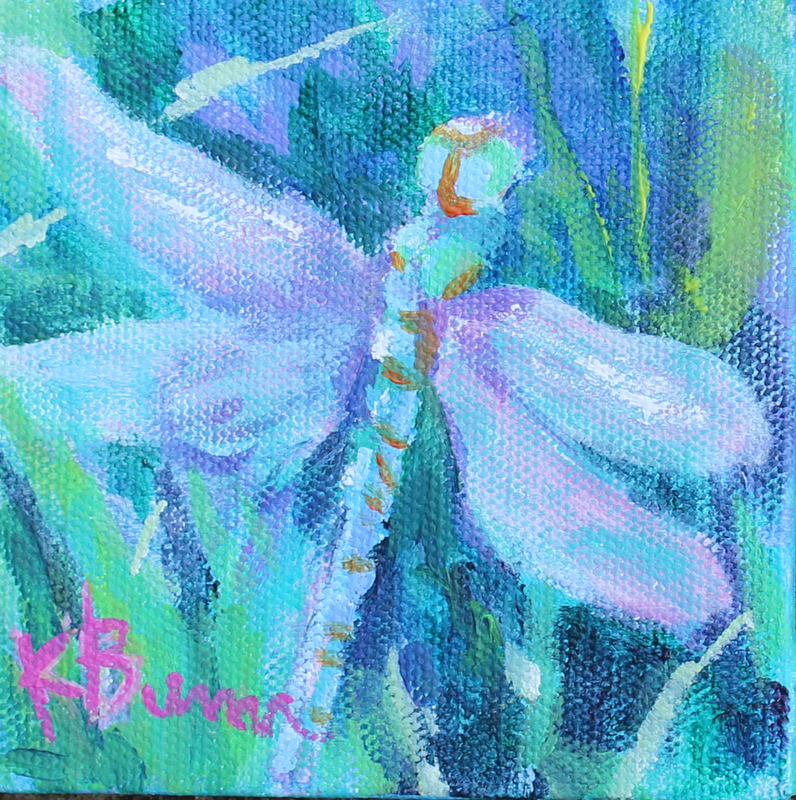 “Blue Glow” is a small acrylic painting, perfect to display on a small easel. 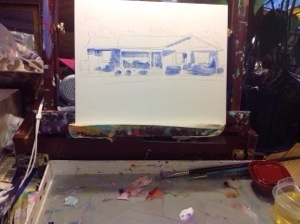 I call this type of painting counter art. 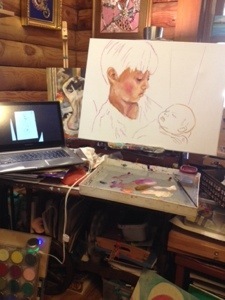 It’s easy to move around, place it on the table by a chair, nightstand, bar, or on a shelf. 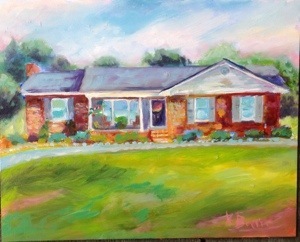 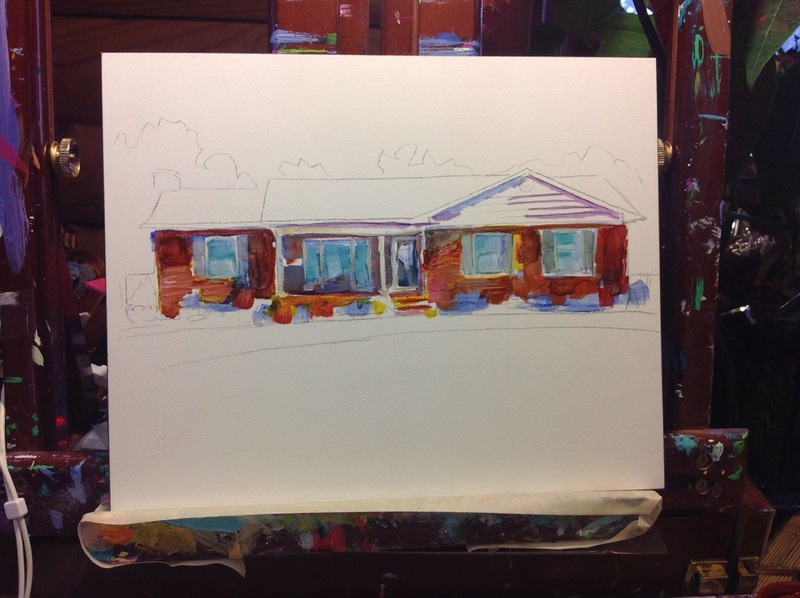 This painting is available at Carolina Artists’ Colony in downtown Sanford, NC, or you may contact me. 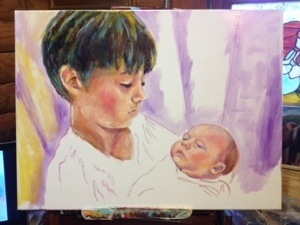 Working a little more on baby sister, Anna Katherine. 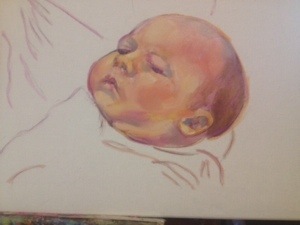 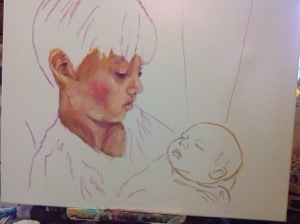 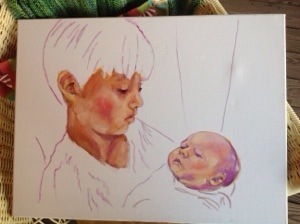 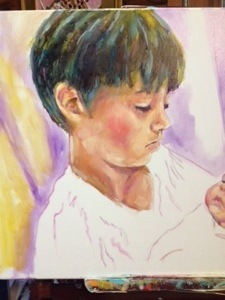 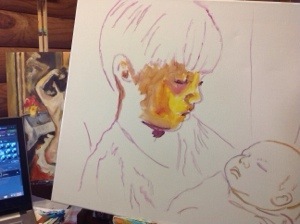 When you paint babies, less is more. 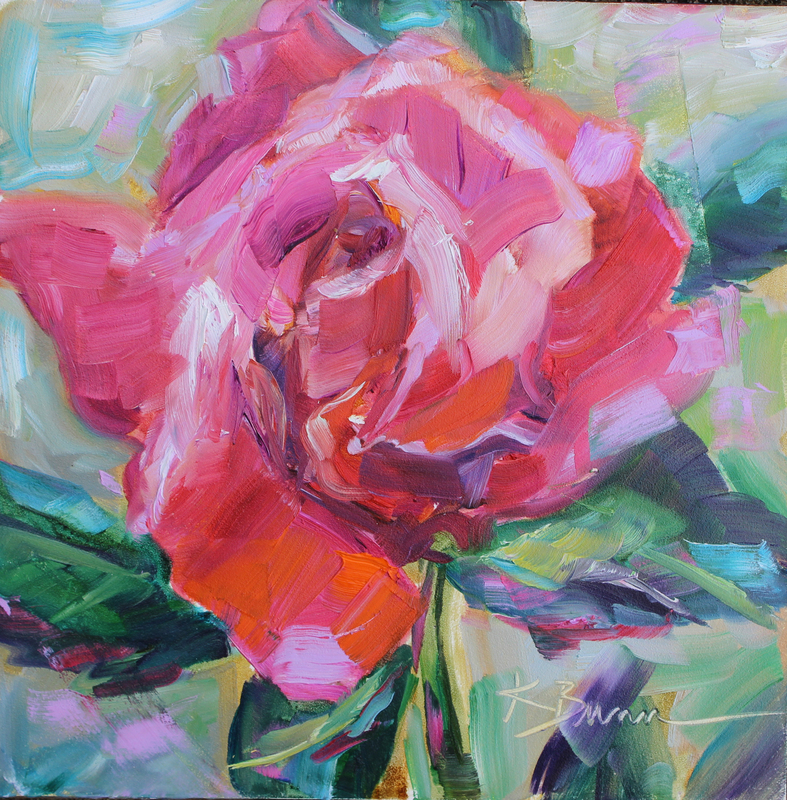 Soft shades and hues of pink and rose, “Rosa” would make such a lovely Easter gift or Mother’s Day gift.